Read about the event here! 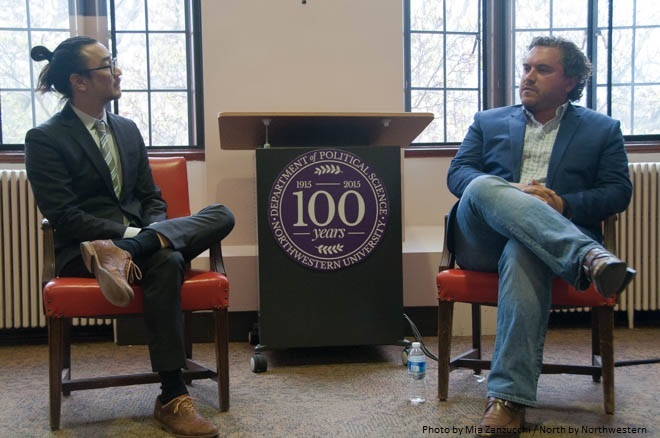 On April 8th, 2016, the Department of Political Science celebrated 100 years with a reception at the Midwest Political Science Association’s 74th annual conference, held at the Palmer House Hilton in downtown Chicago. Over 100 alumni, current and former faculty, graduate students, staff, and guests mingled while listening to politically-themed music and enjoying a slideshow about the rich history of our Department. Former faculty member Kenneth Janda spoke about some of the highlights and our most notable faculty. Current faculty member Wesley Skogan and Chair Sara Monoson spoke about the Department today, our many special events, and where we are headed. Here’s to the next hundred years of the Department!